See what's happening with SFL and Radio-Solutions also find out more about the products we supply. Confused about Ofcom licensing ? We have an easy guide so you can decide which type of radio is best for you. Here at Radio Solutions we have been involved in the radio industry for more than 20 years as part of the SFL Mobile Radio brand. We work with a number of the biggest brands in the industry such as Motorola, Hytera and Peltor and as such are able to offer the latest and most advanced radio products on the market. When it comes to considering your radio solution there are a number of points to consider. This includes either hiring or purchasing the equipment outright or whether or not to use licensed or unlicensed radios. Radio Hire: When hiring the equipment you simply speak to one of our experienced SFL Mobile Radio Hire Desk staff and we will be able to assess your requirements and make recommendations accordingly. There are a number of benefits to hiring equipment, such as not having to outlay large sums of cash on equipment, next day UK delivery and access to the latest products from a number of brands. Outright Purchase: This option allows you to buy the equipment outright and have no further on-going costs associated with your radios. Licensed Radios: Our licensed radios come with a 5 year Ofcom license and this allows for you to operate on your own closed frequency and reduce interference from other radio users. 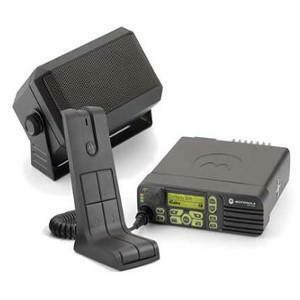 Unlicensed Radios: These are generally used more for smaller operations and personal use and require no license to use. Anyone can use and operate these radios, although radio interference and connectivity is not as good as licensed radio solutions. 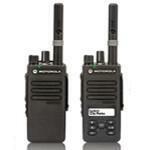 At Radio Solutions, we are the division within SFL that deals with the outright purchase of radios and accessories. 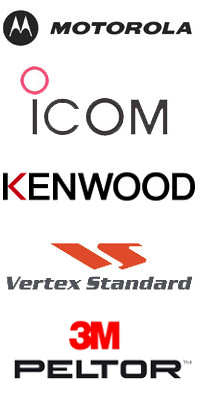 Having been in the industry for a number of years we have built up a number accreditations and affiliations such as becoming a Motorola Platinum Channel Partner, ISO accreditation and membership of APCO to name a couple. As we specialise predominantly in the B2B sector we can offer a credit account to customers with 30 days invoicing terms available, subject to T&C’s. In the past we have dealt with clients from a number of industries including Education, Construction, Sports, Events Management, Airports, Security Services, Power, Emergency Services and Shipping to name a few. When buying from us you can rest assured that we have a substantial amount of experience within the radio communications industry and can tailor packages and solutions to suit your needs and projects. Over time we have built up a long and on going relationship with our clients and this has allowed us to develop further and expand our ranges and offering. Added to our unrivalled collection of two way radios and walkie talkies we also offer free UK next day delivery between Monday and Friday. Here at Radio Solutions we pride ourselves on our world class customer service and product knowledge and continue to score over 97% regularly on our Trust Pilot reviews page. These independent reviews are further testimony to our commitment to our customers and clients.